My four babies are getting bigger … my youngest just turned 8, I can hardly believe it. But I remember oh-so-well the busy days of new motherhood, and also the baby bliss with my second (and third and fourth, for that matter). Birth recovery, postpartum issues and breastfeeding are just some of the factors that new moms face. So whether you’re pregnant and reading up (good for you!) 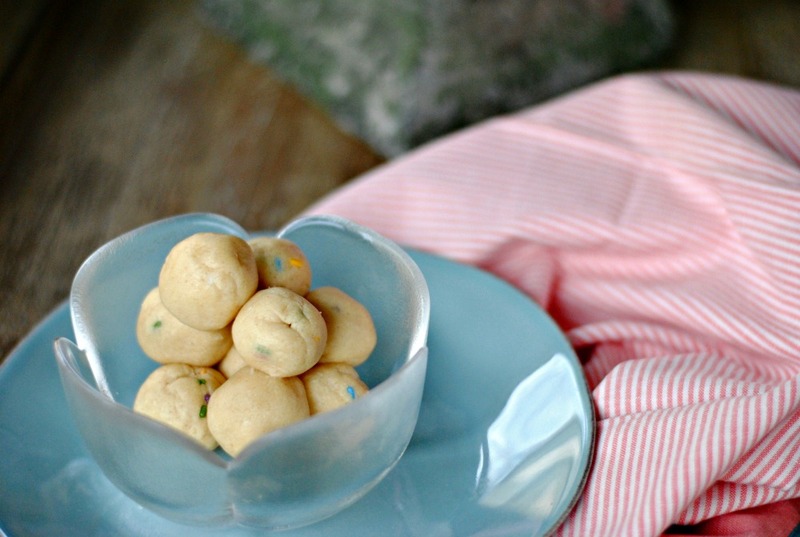 or have a new little one at home, I’m excited to offer today’s new recipe: Cake Batter Protein Balls for New Moms. I’m a sweet girl at heart, but I believe all new moms deserve a little piece of sweet bliss every now and then. Days and nights are busy, and you deserve a little treat – something delicious, yet something nutritious at the same time. That’s where these cake batter protein balls come in. 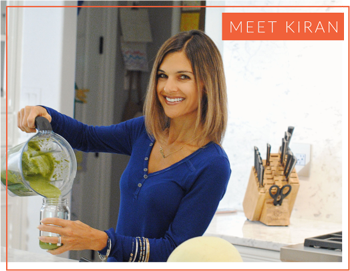 I’ve partnered with Protiva, a collagen protein powder designed for prenatal and postpartum women, in creating these tasty little bites which take just minutes to make, and which are so great for on-the-go taste and nutrition. Why is collagen protein important for pregnancy and/or milk supply? Collagen makes up a majority of our skin and thus can help c-section recovery. Having adequate dietary protein has been linked to increasing (breast) milk supply. I know that when I had my babies, I was often overworked, not getting enough sleep, and definitely not thinking about my nutrition; it was all about baby. But the reality is, as new moms, our dietary intake is that much more important – especially our protein levels. 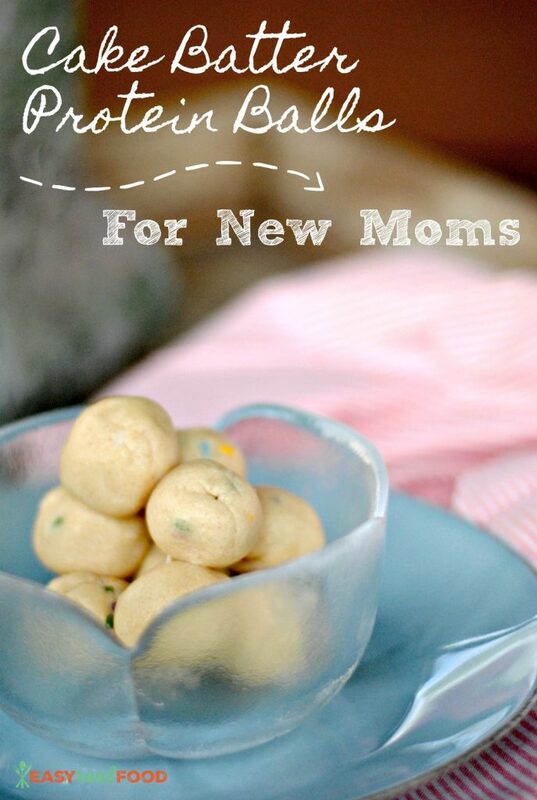 So getting that bump of protein from these protein balls for new moms are just what the doctor ordered. Protiva is specifically designed for prenatal and postpartum women. The protein powder is lactose, gluten, soy, allergen and preservative-free. It is also non-GMO and contains no artificial sweeteners, coloring or flavors. In fact, a recent revamping of the product lowered the sugar even more (from 6g to 2g per serving) which made me like them even more! You can certainly use Protiva in shakes, smoothies and bowls, but I wanted to make something that’s transportable and even the perfect bite to grab on the go. So on to the recipe! 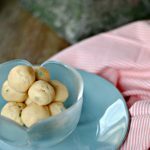 A recipe for cake batter protein balls for new moms - sweet bites that are simple to make and which provide adequate nutrition for strong milk supply. In a bowl, mix together the protein, coconut flour and syrup. Stir in melted coconut oil and non-dairy milk. You may need to add a half a tablespoon more of the milk; you don't want your dough to be too think or dry. Think of cookie dough texture. Place a bowl in the freezer to let them harden. Remove in 5 minutes and roll into balls. Store in an airtight container in the refrigerator or freezer. I’m currently pregnant so this definitely sounds like something I need to make soon! I love how it’s both nutritious and tasty.